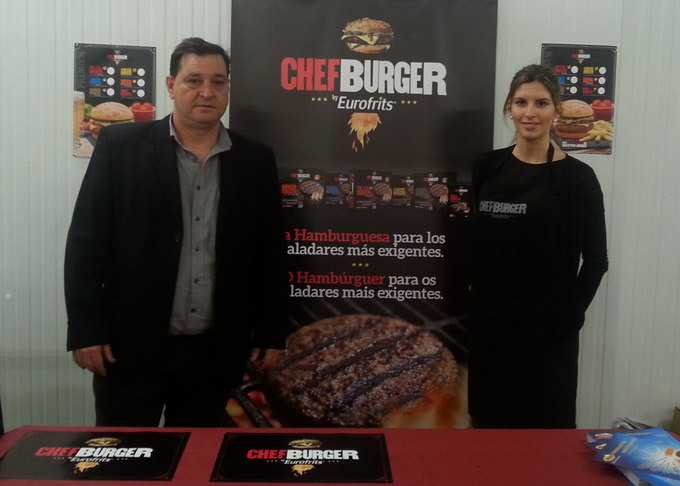 The Castellón Fish Fair, celebrated on April 18th, featured different products with our label. On this occasion Eurofrits was well represented by our range ChefBurger, the 9,5mm Super Crunch Fries and the different potato gratins. Pescados Castellón, founded in 1992, is a reference in the distribution of frozen products in Castellón city and province. It is a company specialized in catering, restoration and food service, ranked eighth as a distributor of frozen food in the Valencian country. 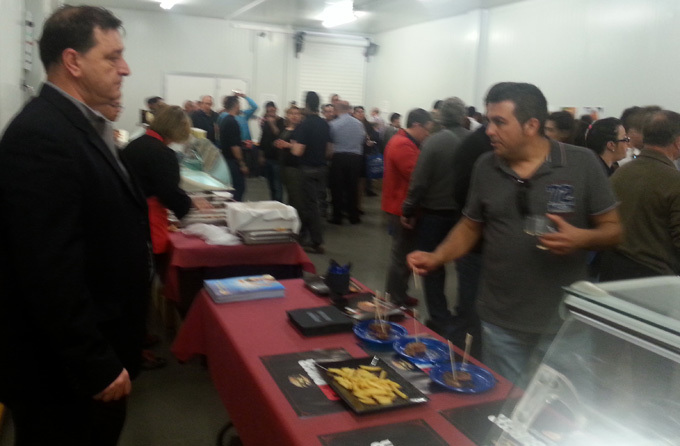 The Castellón Fish Fair is an event that brings together local manufacturers and distributors and provides the right setting for trying new produce on the market. And this time Eurofrits was one of those brands with plenty of products to try out. In one hand we presented one of the most demanded potato varieties, the 9,5mm Super Crunch Fries, which has a longer lasting taste, provides a 20% save in oil consumption and a 50% extended service time in perfect condition. The potato gratis had a very warm welcome, thanks to its tasteful presentation and great flavour. Eurofrits carries a variety of gratins: Italian, Cheese & Cream, Broccoli, Mushrooms… all of them with artisanal production from baked potatoes slices with delicious sauces that retain all the original flavour from the potato. Our range ChefBurger was very popular too. Attendents could discover for themselves the different varieties of our premium range, which stands out for the great product quality and the reduced waste when cooked.